Housing over 300 neuroscience and immunology scientists, the AV Hill Building is one of the largest biomedical research facilities in Europe, offering a collaborative working environment to multiple faculties of the University’s science departments. A central light well divides the building’s two independently designed aspects: laboratory facilities and office space. 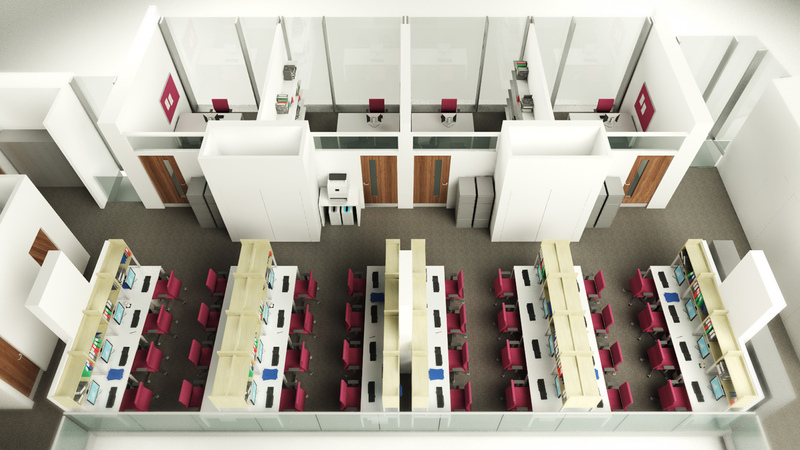 Large, open plan laboratories are supported by a range of shared cellular accommodation which includes a freezer farm, histology suite, and space for vibration sensitive equipment. 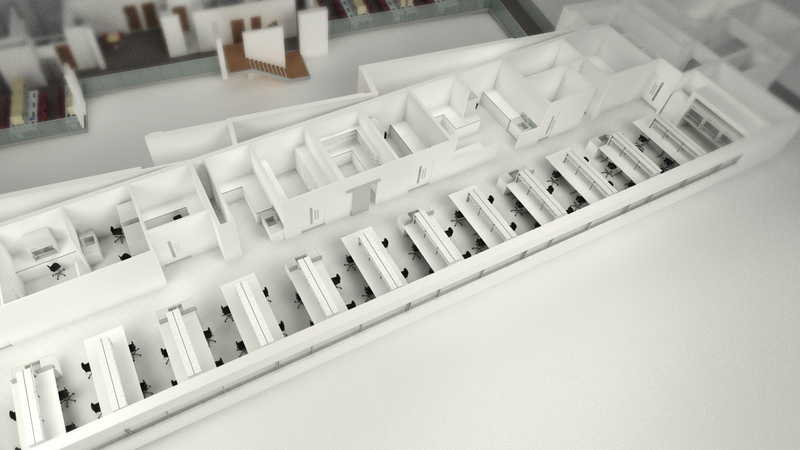 The office space comprises eight individual offices, each supported by six open plan write up spaces for post graduate research staff. A flexible approach has allowed for a reconfigurable office design, meeting the progressive demands of work in this sector. 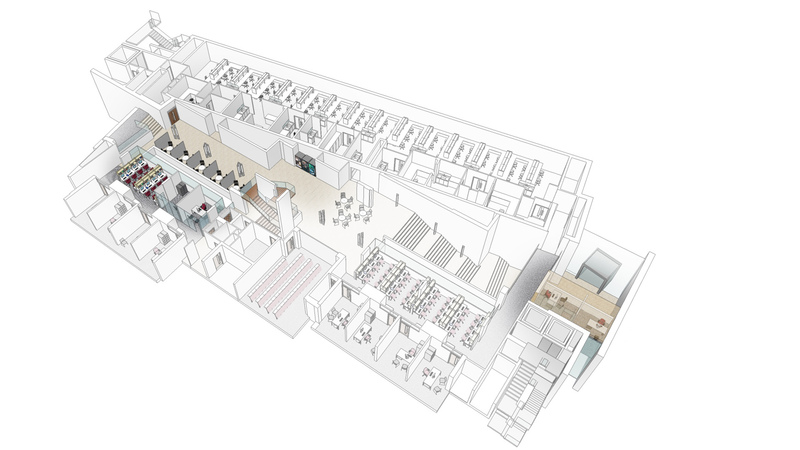 The building also houses a multifunctional teaching space accommodating 100 individuals which opens in to the acoustically treated, quiet atrium. 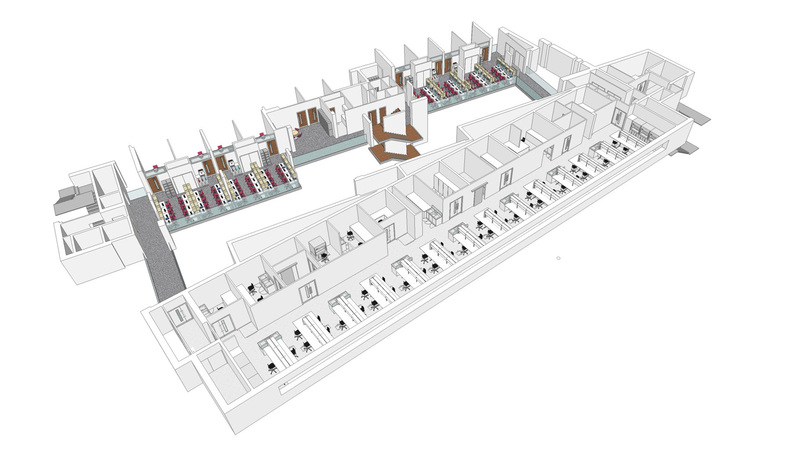 Shared ancillary and breakout areas located adjacent to the main circulation routes promote interaction between researchers. Integration with the surrounding buildings is implemented through the use of ‘bridge links’ at third floor level, which run through the building as a feature within the atrium. The unification of these buildings creates an environment which promotes co-working and translational practices between academics and practicing medical staff. “Such an arrangement effectively promotes collaboration and realises efficiencies through the sharing of core equipment.” Dr Simon Merrywest, Assistant Faculty Administrator.